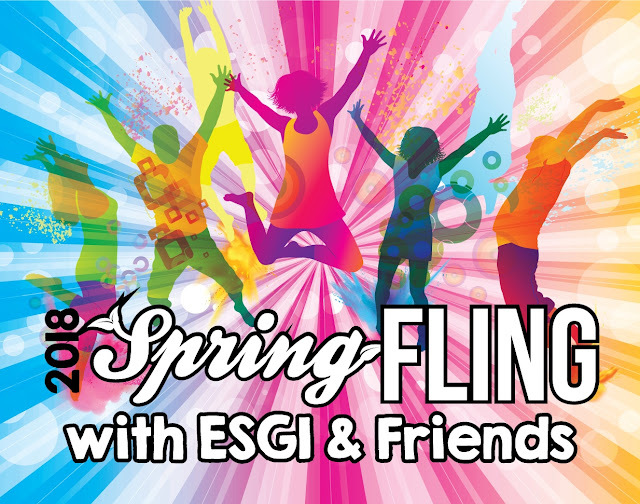 Teaching Blog Round Up: It's ESGI's "Spring Fling 2018 With ESGI And Friends" & EVERYONE Wins! It's ESGI's "Spring Fling 2018 With ESGI And Friends" & EVERYONE Wins! Everyone Wins With "The Spring Fling 2018 With ESGI and Friends!" Click the image to sign up for your FREE Extended Trial & Discount. Ahhh, SpRiNg! Warm days, birds singing, butterflies fluttering by, and flowers everywhere! Spring is the PERFECT time to try ESGI for FREE through Aug. 31, 2018! You heard that right! If you sign up for your FREE trial by May 15, you get to use ESGI for FREE through Aug. 31. And, if you entered my promo code, KFUN, when you signed up for your FREE trial, you will automatically qualify for $40 off of your 1st year! Click the promo code above to get started. But that's not all, no, that's not all! 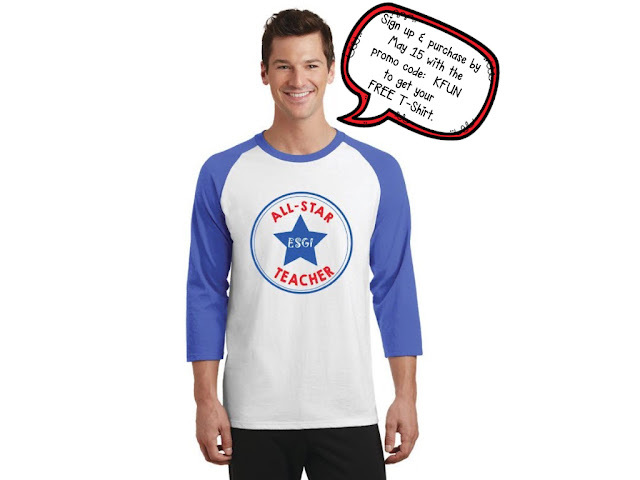 Click the T-Shirt to sign up for your FREE trial & use the code "KFUN" to qualify for $40 off of your 1st year. on their social media sites! ~Share progress with your administrators and parents before the end of the school year. ~Show your colleagues how ESGI can save them SO MUCH TIME and make ESGI part of your Professional Learning Community! ~Get all set up and ready to go for the next school year. This is especially helpful if you pre-test students for next year. 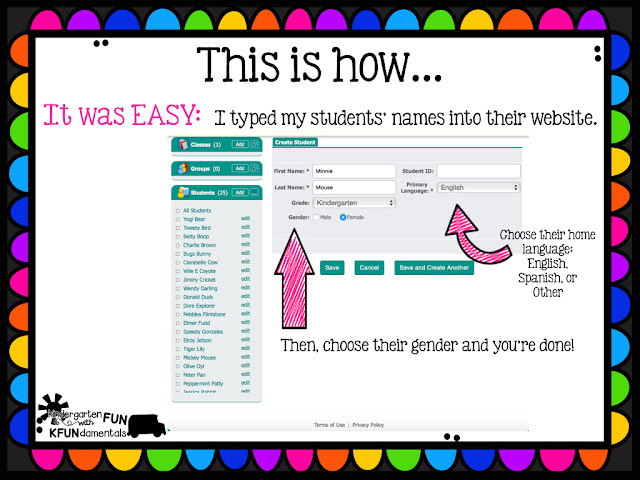 You can hand the parents instant data with the parent letter and you will be ready to provide your students with differentiated curriculum and RTI based on the data generated by ESGI. And it's super easy to get started too!